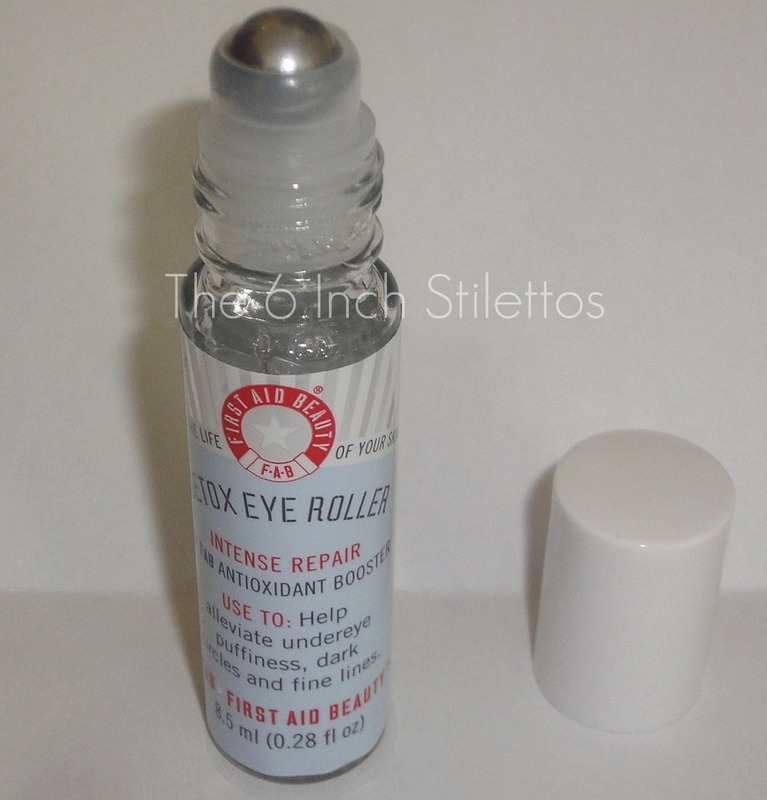 Roll-on eye treatments have been around for a while and I think I might just have tried most of them but have been left very unimpressed by them all. All of them tease you with promises of helping to diminish dark circles and eye bags but I have yet to see the disappearance of both issues so here I am, waiting for a miracle. What is it with brands saying they can alleviate puffiness, dark circles and all that jazz with a roll on product? I may have been sucked into the fad at the beginning but I'm getting kind of bored of it now and would rather they just wrote that it would ever-so-slightly perk up my under eye area but that it would only last all of 5 seconds before my eye bags inflated again. Ok, I'm being a bit harsh but I just had to make that point. There isn't much to the directions that I've never seen before. Just the usual apply whenever you need it type thing with the amount of times you should do so. All the malarky on the side of the box that you really don't need me to go through because it's pretty straight forward. I'll go in to my opinion of this part in my overall evaluation of the product. Again, a whole lot of ingredients that I'm sure don't really need to be in there but are added in good measure for that magic. The first thing that makes a pleasant change from the other roll-on treatments that I've tried is the fact that this comes in glass vial instead of the usual plastic ones. Now, whether this is to give it a step up and make it look a bit more 'premium' instead of High Street is beyond me but I welcome the glass version. I know, I'm a sucker for looks. The roller ball is the same size as the Garnier versions that I've tried but larger than The Body Shop ones so you can cover more of the eye area. I'd like to point out that you definitely don't need 2-3 swipes of the product as you'll end up with far too much so one roll over your under eye area and a little bit of dabbing is more than enough. The applicator ball ran smoothly and there was no stiffness or fiddling needed at any point to try and get it going so another bonus point. 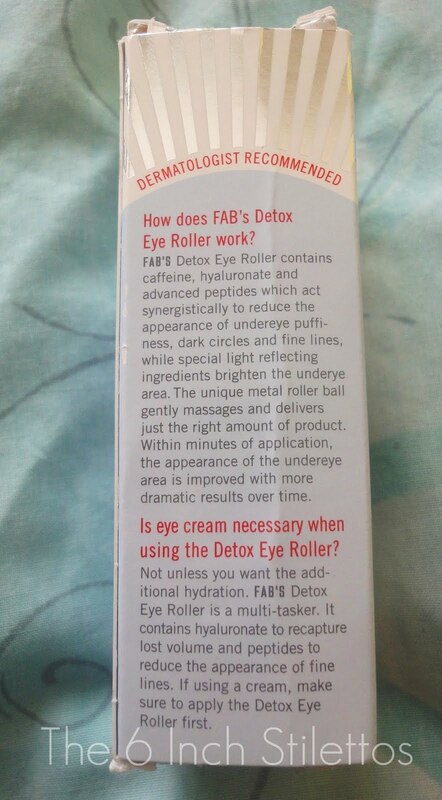 The Garnier eye roll on thingy is a bit dodgy for me and stops moving mid-roll but this might just be my one because I've never heard anyone else pipe up about it. Do I think this is an amazing product? No. Is it worth your £18.00? Probably not. I know that sounds harsh but with all that spiel on the side of the box about how great it is really doesn't mean anything to me because actions always speak louder than words. This product did absolutely nothing for my under eye area except give me watery eyes and that is about it. Harsh, but true. It is thinner in consistency compared to the Garnier Caffiene Eye Roll-On but apart from that, both product are cut from the same cloth with only the packaging being the difference. 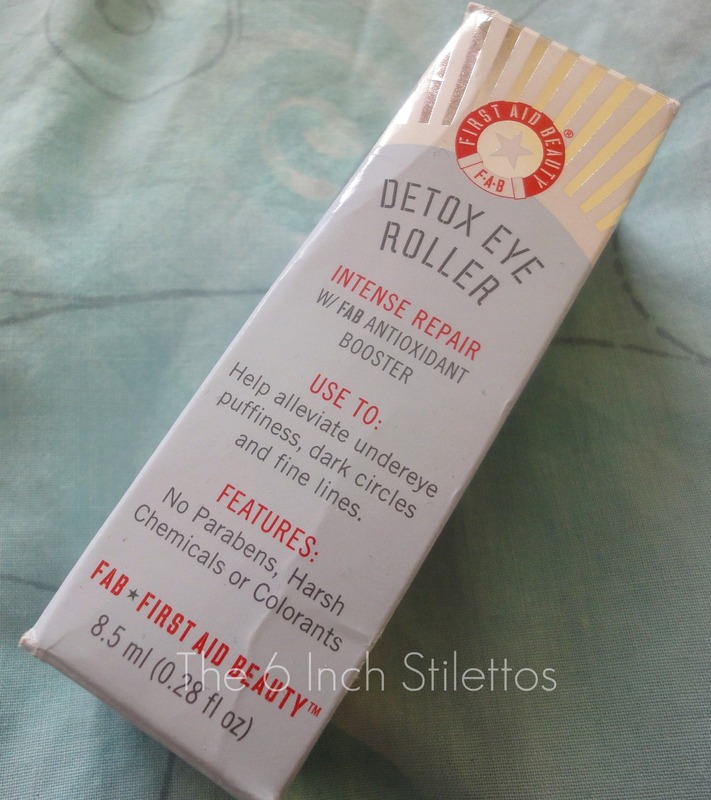 I don't have extremely dark circles or bags that resemble my weekly Tesco shop but after a few late nights, they do look a bit heavy so I was hoping that the First Aid Beauty Detox Eye Roll-On would help me look fresher but it didn't. 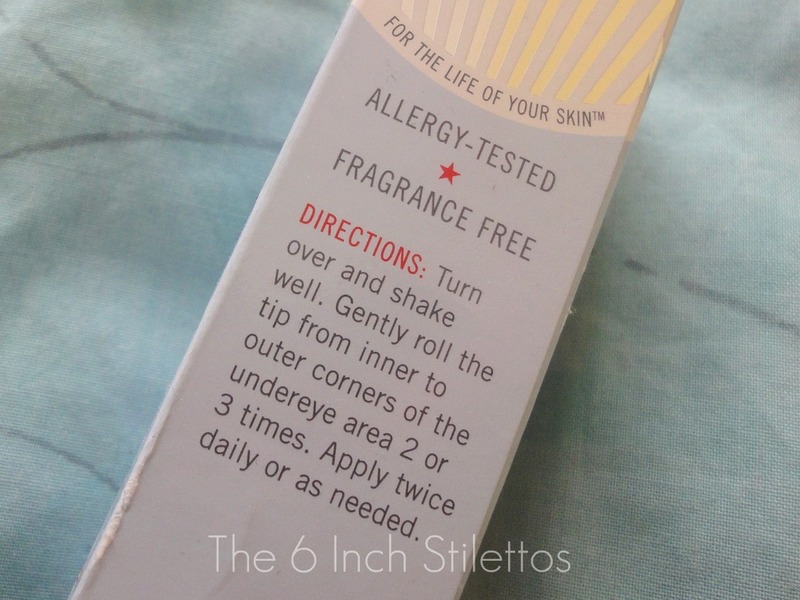 Being priced at £18.00 is another downside to the product as it is definitely a lot steeper than other eye roll-on products that are available on the High Street so it might not appeal to everyone. Remember folks, just because it is more expensive doesn't mean that it is going to give you more than a cheaper alternative! 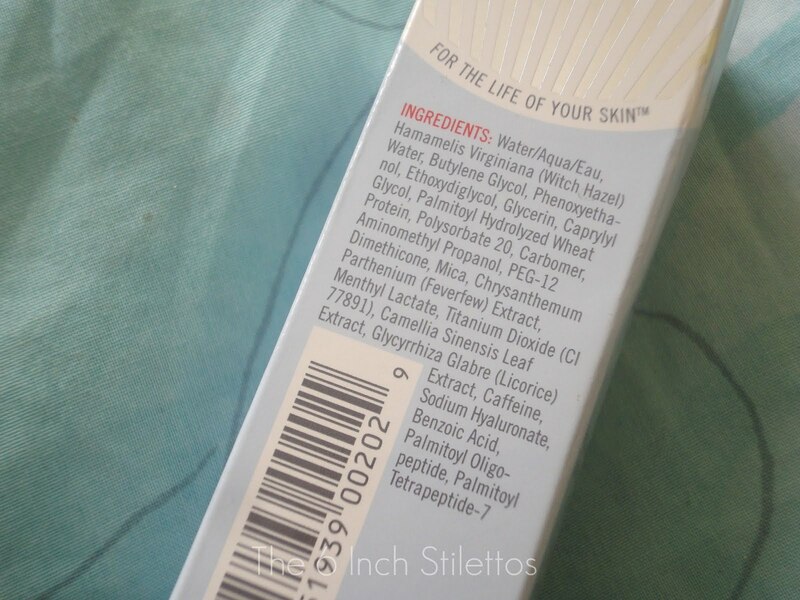 Have any of you tried this product out and had better results? 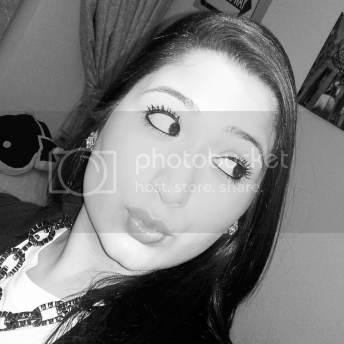 Just because I've not had the best experience with it doesn't mean that it doesn't work on others. I'm sure there are plenty of people out there who love the product and maybe even swear by it but I am definitely not one of them. If you are interested in the product or the rest of the First Aid Beauty range, then pop in to your local Boots store or take a look online. As indicated by M. Amin, Ph.D., Doctor of Natural Medicine, "These poisons make the cells of the body to pass on quicker, driving pre-develop maturing and ailments."